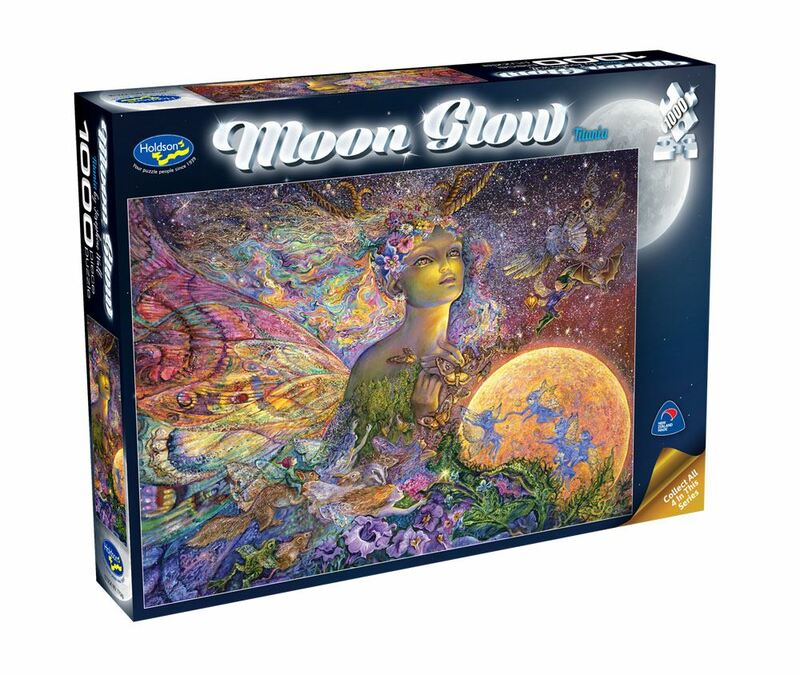 Well known fantasy artist Josephine Wall's latest series, of detailed and thought provoking acrylic's are mesmerising in this Holdson 1000pc puzzle collection. Specialising in mystical, surreal-like images, Josephine paints in great detail and nearly always hides creatures, faces and other items within the painting, adding ongoing mystery and interest to her wide and varied range of work. This new series Moon Glow 1000pc Puzzles are just striking! Titles include: Call Of The Sea, I Saw Three Ships, The Messenger & Titania. Each design sold separately. Collect all four titles. Age 8+ years. Made in New Zealand by Holdson. Approximate puzzle dimensions: 688mm x 493mm. Box size: 270mm x 370mm.